Greece has one of the oldest traditions of wine making, being associated historically and mythically with the grape vine as much as with drunken revelry. Recorded production of wine in Greece goes back over 6’000 years and Greek wine is always somewhere in the background of our minds when we think of Ancient Greece. The drinking habits of Socrates and Plato, Greek philosophers and fathers of logical thought are well documented to the extent, in fact, that their welcome dialogues with contemporaries often took place late at night after a gallon or so of the local wine had been consumed. Socrates particularly had a reputation for being able to drink everyone else under the table and still construct a logical argument! Greek thought, in fact, sees two conflicting forces at power, an Apollonian tendency, that is logical, restrained and orderly, and a Dionysian tendency, which is more creative, expressive and drunken! The respective gods, Apollo and Dionysus, were consequently worshipped, with rituals to the latter involving dance, debauchery and, of course, drink. With Greek wealth and power came the spread of this world-view throughout Europe: both wine and Dionysian partying soon caught on in Italy, France and Spain. Looking to society today, Greece is arguable the mother of the Friday night bar and club binge! The Greek wine tradition has had a cultural impact that probably exceeds the impact of any other wine growing nation in the world. Like much of Eastern Europe, Greek wine production suffered in the 20th Century losing out for local political and economic reasons, and also losing ground to the Western European and New World markets as they gained a monopoly on wine production and export. For much of the 20th Century Greece was principally known for the production ‘Retsina’, a wine that has a distinctive taste due to the deliberate addition of pine resin during its production. 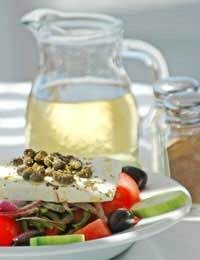 Retsina is loved by the Greeks, although it varies in quality, though not always admired by foreigners, with Greek folklore telling of how neither the invading Romans or Germans could handle the taste! In recent years industrious Greeks have attempted to produce wines that could capture the attention of the rest of Europe, and the world, once again. Government and private investment has endeavoured to improve wine growing methods, so as to produce more distinctive and reliable native wines, as well as competitive non-native varieties, such as Cabernet Sauvignon. From the dry acid Assyrtiko to the Citrus and mineral notes of the Robola, native white wines can match those produced anywhere else on the Mediterranean. Reds come in strong too, with the Agiorghitiko being capable of producing both simple table wines and more complex rich wines for aging and Mavrodaphne being ideal for an unusual red grape dessert wine. Meanwhile, French grape varieties benefit from ideal climatic conditions with vineyards such as Vatistas Winery, in the Peloponnese region, producing traditional Burgundy and Bordeaux classic such as Chardonnay. Both native and foreign grapes are assured quality production by a strict appellation control system similar to that employed in France, Italy and Spain. All these factors are ensuring that Greece is set to become a major contender in wine production once more. Sourcing a Greek wine is not so easy, with supermarkets usually going for the tried and tested French, Italian, Spanish and New World wines. Waitrose offer a good example of the aforementioned Assyrtiko with their 2007 Hatzidakis Santorini Assyrtiko which retails at £8.99, which has spicy and fruity notes, as well as 'creamy' complexion.